Like to play games that make you deal with the consequences of your actions? 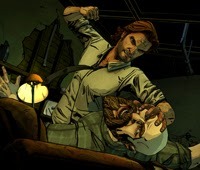 The Walking Dead game series definitely did that, and you can expect more of the same from The Wolf Among Us later this fall on the Playstation Vita. Here's a trailer for us! Are you looking forward to this? Let us know below!